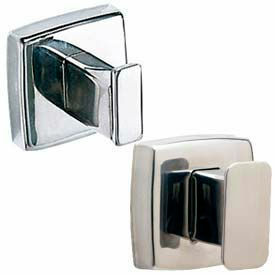 Robe And Utility Hooks Are Used For Restrooms, Hotels, Homes, Bed And Breakfasts, Pool Areas And Hospitals. Robe And Utility Hooks are made of stainless steel, chrome, copper, nickel, brass and steel with a variety of color finishes for long lasting durability and dependability. Variety of types, designs and finishes available to complement any room. Available in a variety of types, styles, color finishes and dimensions to meet hanging requirements. Shower Curtain Rods And Accessories Are Used For Hospitals, Hotels, Housing Facilities and Residential Locations. 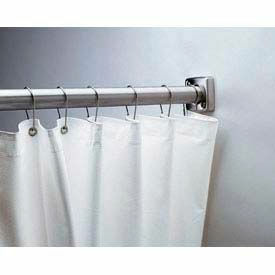 Shower Curtain Rods And Accessories are made from high quality materials for long lasting durability. Variety of accessory types available to meet shower requirements. Styles are Shower Curtain, Shower Curtain Rod, Shower Curtain Rod Flange and Shower Curtain Rod Support. Clean Hands® Sanitary Door Opener Is Used For Restaurants, Office Buildings, Factories, Hospitals, Theaters And Other Public Areas. Sanitary Door Openers are made of aluminum with a satin silver finish and gray plastisol coating for long lasting durability. 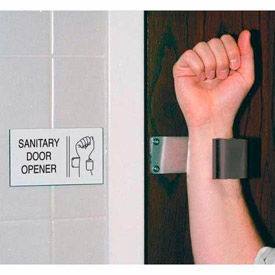 "Hands-free" openers provide pull-open, restroom exit doors, keeping freshly washed hands clean and sanitary. Door is opened using forearm and patented design insures arm is naturally released as door swings inward. Mounts above existing door handle using stainless steel screws (included). Sold in sets of two openers. 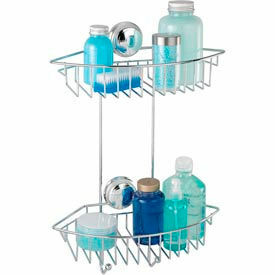 Shower Baskets Securely Store Bottles, Travel Accessories And Toiletries. Shower Baskets are made of high quality brass materials for long lasting durability. Used for hotels, gyms and widely used bathrooms. The rust-resistant baskets attach using wall mounts, suction, tension or over the shower head for maximum storage flexibility. Installs either in a corner or flat on the wall. Available in a variety of colors, styles, and sizes. 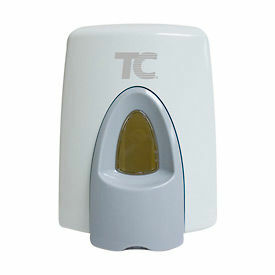 Facial Tissue Dispensers Are Used for Offices, Schools, Recreation Centers, Day Care Facilities And More. 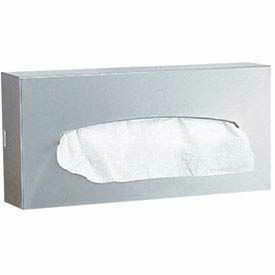 Facial Tissue Dispensers are made of steel, stainless steel, PVC, or PETG for long lasting durability. Holds one standard facial tissue box. Available in a variety of styles and mounting types including Recessed, Vanity Mounted, Tabletop, and Surface Mounted. 29 colors available. Dimensions vary per style. Foam Formula Easily Cleans Toilet Seats, Washroom Handles And More To Minimize Risk Of Cross-Contamination. CleanSeat dispenser features an antimicrobial push bar with silver-Ion technology. Dispenser is key-locked for security. Refill level viewing window allows easy viewing of contents. 400 ml Foam Refill is simply added on a toilet tissue or toilet paper and used to wipe down bathroom surfaces to remove dirt and bacteria. Alcohol-based solution eliminates need for messy and awkward seat covers. Foam refills dispense 1,000 shots of 0.4 ml per dose. ADA compliant. Sold in package quantities. Lifetime Limited Warranty. Wall Mount Paper Cup Dispensers Are Used For Use Around Coffee Machines Or Water Dispensers In Cafeterias, Waiting Rooms And More. 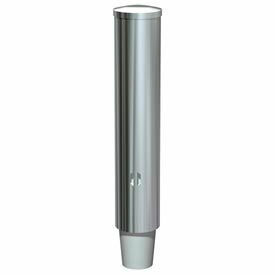 Wall Mount Paper Cup Dispensers are made of stainless steel or steel for long lasting durability and dependability. Designed to dispense a variety of disposable cup sizes. Allows for easy loading and maintenance. Refill viewing slot identifies when refill is needed. Color finishes are Stainless and White. Dimensions vary per type. Quantity is 1. Bobrick® Countertop Waste Chutes Conserve Counter Space And Keep Restrooms Tidy. 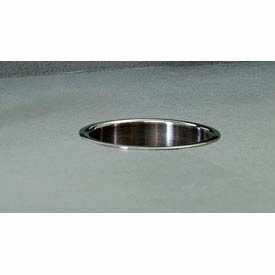 Bobrick® Countertop Waste Chutes are made of corrosion-resistant stainless steel for long lasting durability. Provides waste deposit access to receptacle placed under countertop. Used for restrooms in offices, health care facilities, hospitals, schools, recreation centers and more. Types are Washroom Countertop Waste Chute/Round/ Vanity Mounted and Countertop Mounted Circular Waste Chute. Colors are Bright Polished and Stainless Steel. Diameters are 6-11/16 in. and 6-5/16 in.. Quantity is 1.